Double hung and single hung windows are the most popular of our many window styles for homes in New England. Double hung windows are designed for superior ventilation in your home; welcome in the crisp New England air as never before. Renewal by Andersen of Southeastern Mass and Rhode Island offers double hung windows in many color schemes and styles to fit any home. When you choose us for replacement windows in MA or RI, you’ll receive the highest quality hung windows in the industry. Listed below are the several styles of single and double hung windows. To learn more about these windows, give us a call or fill out our request a quote form today! 100 Series Single Hung: Value and durability mark the 100 series. Comprised of our Fibrex composite, it is twice as sturdy as vinyl. 200 Series Double Hung: Perma-shield coating makes this model powerful at repelling water and debris in the air. Bring natural wood’s warmth into your home with natural pine finish or a white finish for a contemporary look. 400 Series Woodwright Double Hung: Enjoy a traditional touch with modern advancements with this energy efficient and durable model. 400 Series Tilt-Wash Double Hung: With many hardware and sizing options available, this popular model can be customized to accentuate any room. A Series Double Hung: Natural maple, pine, or oak interiors combine with eleven different exterior colors to create a unique appeal while offering the ventilation expected of a double hung window. Every double hung window comes with a tilt-wash feature for minimal care and cleaning. Crystal clear glass allows bright sunlight to make a room radiant. 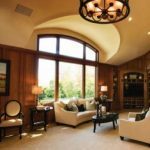 Allow us at Renewal by Andersen of Southeastern Mass and Rhode Island to help you find the right style and finish to give a pleasing aesthetic to your home with window replacement in Rhode Island and the surrounding areas. As with all of the windows we install, our double hung windows are backed by Renewal’s industry-leading warranties. Not only will you get new, durable, energy efficient double hung windows, but they will be protected by either a 10-year or 20-year limited lifetime warranty. To learn more about replacement windows in Rhode Island and Massachusetts, call Renewal by Andersen of Southeastern MA and RI to schedule your free, in-home consultation with our local window experts. Renewal by Andersen of Southeastern Mass and Rhode Island leads as experts in doors and windows. We have deep roots in the local communities and work tirelessly to improve the homes of our neighbors. Call us at 401-473-2739 to set up your free, no obligation in home consultation at no charge to begin your home improvement projects.